Don't you just love cute little desserts? I sure do! There's just something that makes dessert more fun when it's cute. 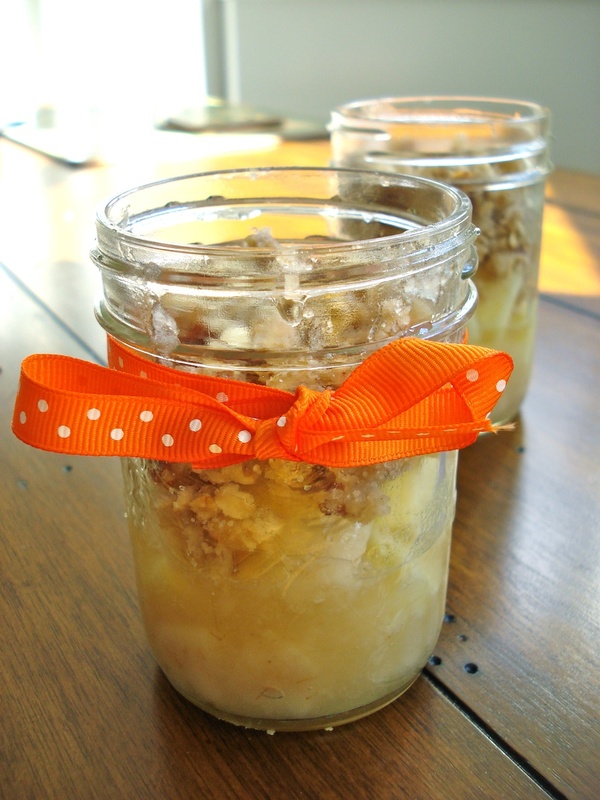 We had a bunch of pears that really needed to be used up, so I decided to make pear-apple crisp. You don't really see plain pear crisp that much - mainly apple. I used some apples because I didn't have quite enough pears, but if you are a huge pear fan, feel free to substitute pears for the apples - I'm sure it would be just as delicious! Wash, peel and dice pears and apples. Place in a large bowl and add sugar, salt and cornstarch, mixing until fruit is coated. 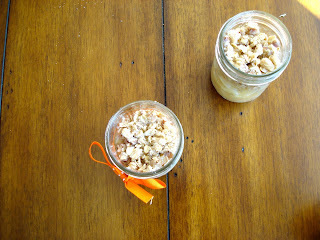 Divide fruit evenly among mason jars. 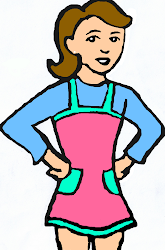 In a separate bowl, combine flour, oats, sugars, cinnamon and nuts. Drizzle melted butter over top gradually, mixing to combine. Let jars cool about 10 minutes before serving. Serve with vanilla ice cream.